A stand alone cottage on the very edge of town only a stone throw to the boutique wineries and a short stroll to the Village. 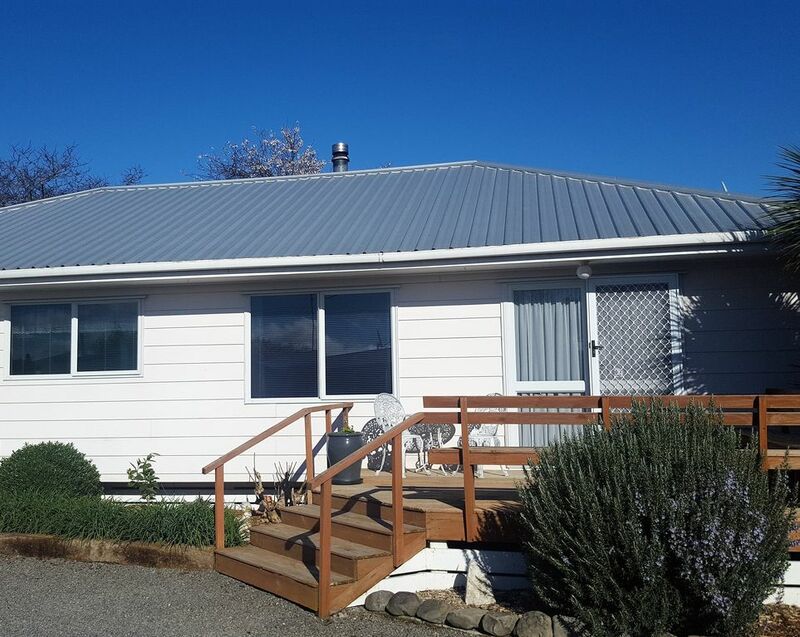 Just across the road is a park area and beyond is the Palliser Vineyard Walk with stunning rural views including the Tararuas. Take a picnic and drive 55 minutes to The Putangirua Pinnacles and beyond to Cape Palliser....the Seal Colony and Lighthouse. Enjoy brunch at the award winning Cafe Medici or the Neighborhood....or dine in style at Martinborough Hotel. Highly recommend wine tasting and an amazing platter at Poppies. We live in a separate house on the property and our resident pets will give you a warm welcome. We really enjoyed the cottage and the location. It was great to walk to town and vineyards and the cottage was very homelike and inviting. We enjoyed Mitch the dog! Stayed two nights while in Martinborough for a wedding. Property clean and comfortable with everything we needed for our visit including a carport which was handy in the rain. Is nice and close to the town centre. Loved our stay here, wish it was for longer as it was so relaxing. Really close to the town centre, cafes, vineyards, bike hire. House is super clean and really well maintained, so much care has gone into making this homely and welcoming. Sky TV (with sports!) was a great bonus, and plunger coffee and fresh fruit and flowers were a really nice touch. We look forward to staying here again! From the moment we walked in we loved the 2 bedroom cottage. Clean and comfortable with everything you need for a weekend break. Walking distance to the square and nearby wineries.